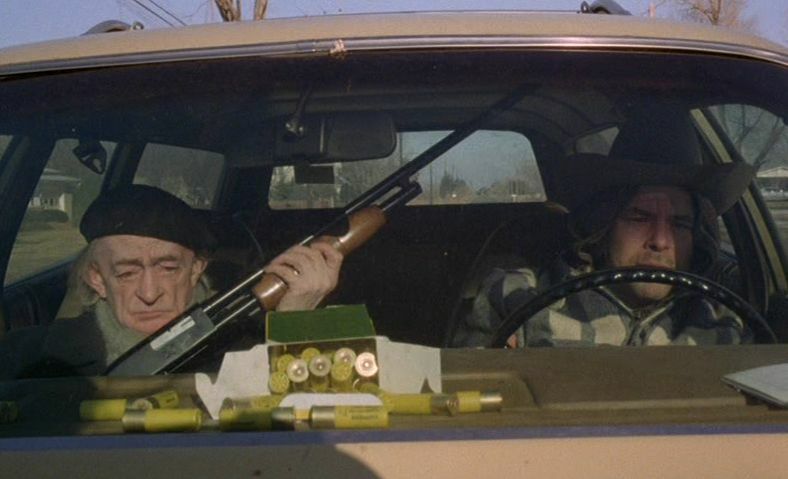 Werner Herzog’s Stroszek (1977) is in my view one of the great films, but it has a difficult-to-categorize nature that has always made it a challenge for many viewers and as a consequence has led to its neglect. Nevertheless, the film’s peculiar nature is precisely what makes it both an important work and a revelatory element of Herzog’s oeuvre. The key idea here concerns the nature of expressionism. Some people view Stroszek as a tragedy, while others see it as a comedy (an offbeat comedy, to be sure). Others see it as a whimsical quasi-documentary on rural America. Still others go further and see it as a more profound condemnation of American materialism. 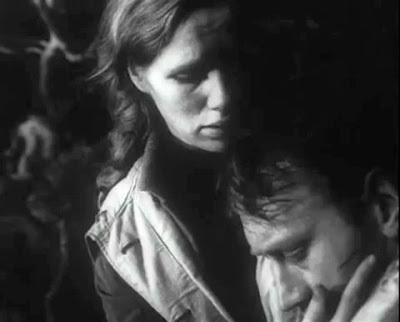 The root cause of this viewpoint panoply can probably be credited to Herzog’s cinematic style, which delivers its expressionistic rendering in a unique fashion. Expressionism, as I have outlined before , is a mode of artistic expression that externalizes the emotional state of the artist’s perspective onto the physical characteristics of the world in view. The entire world is not presented “objectively” in a realistic fashion, but is instead shown in a subjective, often angst-filled, fashion that has the suggestive characteristics of a nightmare. A celebrated example of expressionist art is Edvard Munch’s painting “The Scream” (1893) , which shows a world distorted with anxiety. Although expressionistic presentations have always been with us, the idea of Expressionism as an identified art movement took off in early 20th-century Germany, where it was quickly extended to the newly emerging film industry . These early German Expressionist filmmakers shot their films entirely in the studio, where they could exercise full control over every aspect of their emotionalized external environments, including the use of carefully staged camera angles and lighting. Since then, there has been a wide range of expressionistic films made all over the world, with the idea of an emotionally distorted external environment being a common feature. But these films have essentially been fictional dramas. Documentary films, which are presumably intended to present an objective view of reality, have been assumed to be out of the Expressionistic scope – that is, until Werner Herzog came along. Herzog has been a leading figure in modern Expressionistic filmmaking, notably with his hypnotic features – Even Dwarfs Started Small (1970), Aguirre, the Wrath of God (1972), The Enigma of Kaspar Hauser (1974), Heart of Glass (1976), and Nosferatu the Vampyre (1979). But Herzog has also made documentary films that are often coloured with expressionism (sometimes including dramatic recreations of what is thought to have happened), too, such as Fata Morgana (1971) and Lessons of Darkness (1992). These films demonstrate that Herzog is always interested in a higher form of truth than objectivist documentary truth. He is interested in the truths that we feel in our innermost being, the reality of which we cannot deny. 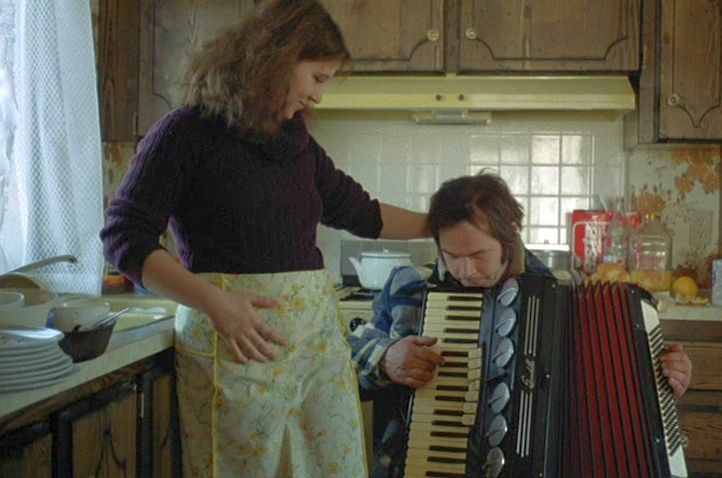 Into this mix we have to find a place for Herzog’s ambiguous Stroszek, which has a documentary flavor to it, but which is a fictional cinematic narrative with an Expressionistic stamp on it. In fact an intended documentary film lies in the background of how Stroszek came to be made. The gifted documentary filmmaker Errol Morris became interested in the story of serial-murderer Ed Gein, who had horrifically captured the imagination of the American Midwest with his bizarre chain of grisly murders in the late 1950s (Gein’s character was the inspiration for the story and film, Psycho (1960)). Morris, who was at the beginning of his career and had not yet made a single film, did extensive background research on Gein and managed to rope in Herzog to collaborate with him on a film about Gein. In this connection Morris had arranged to meet Herzog in Gein’s hometown, Plainfield, Wisconsin, to investigate a cemetery there and to discuss their project. Herzog showed up in Plainfield for the meeting, but Morris didn’t, and the two of them soon had a falling out, leading to Herzog’s withdrawal from the project (Morris’s Ed Gein film was never made). However, while Herzog was staying for a few days in Plainfield, he became fascinated with the area’s people and local culture and decided to make a film there . Herzog had the idea of building his film’s story, the script for which he wrote in four days, around his favourite actor, “Bruno S.” (Bruno Schleinstein), who had starred in Herzog’s earlier The Enigma of Kaspar Hauser (1974). Bruno Schleinstein was not a professional actor, and his personal story is key to the narrative artistry of both The Enigma of Kaspar Hauser and Stroszek. Born in 1932 and abandoned as a baby to an orphanage, Schleinstein was subject to severe and repeated beatings as a child and spent 23 years (from age 3 to 26) in German mental and correctional institutions . Because of the brutal circumstances of his upbringing, the boy developed an instinctively withdrawn (but still attentive) personality that was taken to be a sign of mental retardation. Nevertheless, the boy taught himself how to play some instruments (piano, accordion, glockenspiel) and eventually managed to support himself as a street musician. 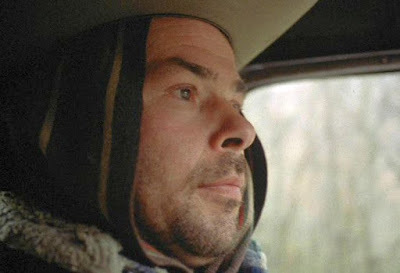 Herzog decided to base the lead character in Stroszek on Bruno Schleinstein’s real persona and then to create a cinematic imagination of what it would be like for this person to go to live in the American Midwest. 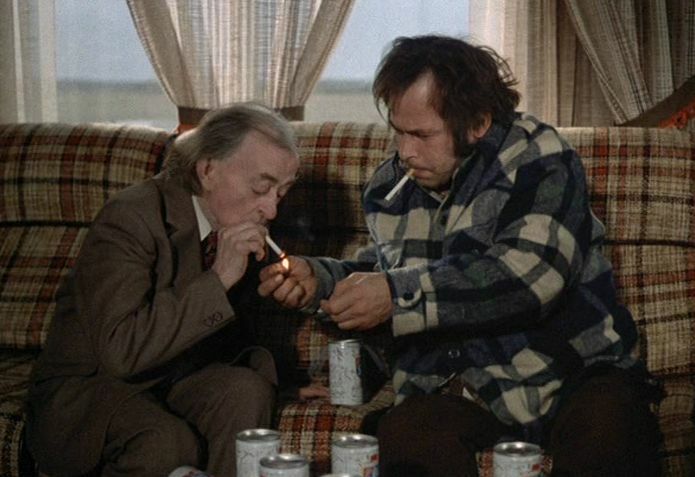 In order to ground his film in narrative authenticity, Herzog recruited most of the actors for Stroszek from ordinary local people he had encountered in Berlin and Plainfield, Wisconsin, and these people simply had to play themselves . Although the overall story does have a basic narrative structure, the convincing spontaneity of the acting makes me suspect that a number of the scenes were extemporaneously crafted on the fly by Herzog and his actors. This is what gives the film an aura of cinema-verite reality that evokes the feeling of watching a documentary. Perhaps in some sense one is indeed watching a partial documentary when one sees Stroszek. 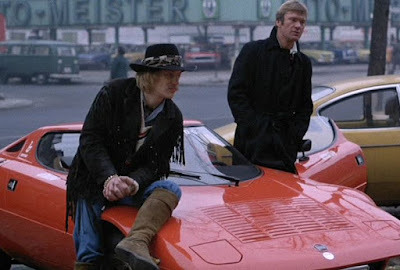 Bruno Stroszek (played by Bruno S.) is essentially a portrayal of the real Bruno Schleinstein. He is a street musician who has just been released from prison for some misdemeanours arising from his tendency to drink too much alcohol. He is basically the same open-hearted character that Bruno S. played in The Enigma of Kaspar Hauser. Scheitz (Clemens Scheitz) is an eccentric old neighbour of Stroszek who dreams up the plan of moving to America. In real life, Clemens Scheitz, who was born in 1899, was a self-taught pianist. His curious appearance and screen personality attracted Herzog’s eye, and he also appeared in Herzog’s The Enigma of Kaspar Hauser (1974), Heart of Glass (1976), and Nosferatu the Vampyre (1979). Eva (Eva Mattes) is an abused young prostitute down on her luck. Eva Mattes, who was a onetime partner of Herzog, did have some previous acting experience, including some roles in films by Rainer Werner Fassbinder. The film’s narrative comprises three acts – (1) Problems in Berlin, (2) Early Happiness in Wisconsin, and (3) Dissolution and Collapse. At the outset Bruno Stroszek is released from prison and sternly warned by the warden to stay away from the bottle. But Bruno immediately goes to a bar and runs into an old acquaintance, the prostitute Eva, who is being severely bullied and threatened by her two pimps (aka souteneurs). Bruno offers Eva a haven in his apartment, but the cruel pimps go there to beat her up and Bruno, too. Bruno’s neighbour, Scheitz, suggests that the three of them run away from their squalid lives in Berlin and move to the U.S., where his nephew can arrange for them to have jobs in his small town in Wisconsin. Scheitz is clearly an eccentric old man and refuses to travel by plane, so they have to buy passenger tickets for sea travel. Bruno and Eva, who are destitute, have nothing to lose and accept the offer. But they need money for the tickets, so Eva calmly runs out to a local construction site and sells her body for cash to some Turks who are working there. Then they travel to New York City. After sightseeing in New York City and looking out at the huge wonders of the new country from the top of the Empire State Building, they buy a used car and drive to Railroad Flats, Wisconsin (this is fictitious name Herzog chose for Plainfield, Wis.). Much of this act is devoted to the depiction of Midwestern small-town local colour, as Scheitz, Bruno, and Eva settle in to their new surroundings. Only Eva can speak English, so she has to translate and explain to Bruno and Scheitz what she hears. American Midwesterners are not cosmopolitan, but they are customarily open, friendly, and easygoing; and Herzog captures this characteristic behaviour perfectly by having his local actors play themselves. Bruno begins working as an assistant in the auto workshop of Scheitz’s’ nephew Clayton (played by Plainfield local Clayton Szalpinski). Eva gets a job as a waitress at a local truck stop. 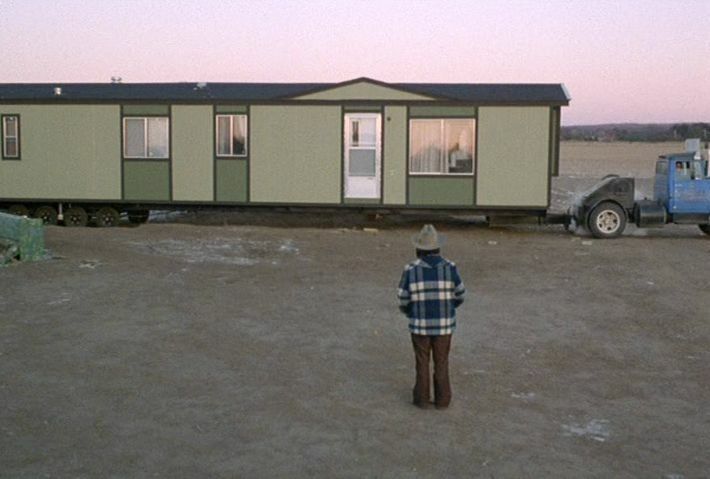 Soon they buy, on credit, a spacious mobile home and begin to celebrate their new happiness. However, Bruno, who has led a life of misery, is a fatalist and worries that their joy will be short-lived. Soon enough a courteous bank officer visits the trailer and tells them they are seriously behind on their credit payments. Eva does her best by selling herself to truck drivers who pass through the truck stop where she works. But Eva is getting bored and, to Bruno’s anguish, is no longer willing to sleep with him. Eventually she decides to leave with some truck drivers and thereby abandon Bruno and Scheitz. Without Eva’s extra income, Bruno and Scheitz cannot meet their credit obligations. 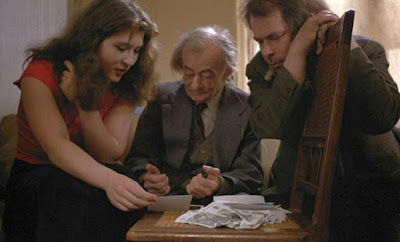 The courteous bank officer comes again and gets the now inebriated Bruno to sign a document that he cannot even read authorizing the repossession of their mobile home. Bruno and Scheitz are now homeless, penniless, and desperate. Scheitz, who is always addled with offbeat theories, asserts that they are victims of some vast conspiracy against them, and he grabs a rifle and gets Bruno to join him in a proposed bank robbery. Finding the bank closed, they steal $32 from the barbershop next door and then mindlessly go to a 7-Eleven shop to buy groceries. The police come quickly to the store and arrest Scheitz, but they don’t notice Bruno, and he gets away. Now comes the memorable last fifteen minutes of the film, which almost constitute a separate narrative act. Bruno goes back to the auto workshop with the rifle and his stolen frozen turkey and steals the tow truck there. Then he hits the road. We have no idea where he is going, and probably he doesn’t, either. After driving for some time and with his truck engine overheating, he stops in a small mountainside town and chats at a café with a German-speaking businessman. Afterwards Bruno goes out and sets his truck autonomously circling in a parking lot. Then he crosses the road and enters a temporarily unoccupied tourist shop that features an odd arcade of coin-operated “games” featuring dancing live chickens and rabbits, and also a ski chairlift that runs up the local mountainside. Here Bruno sets some of the animal games in operation and then throws the switch launching the chairlift. Still with his rifle and frozen turkey in hand, Bruno hops into a moving chair and is the lone rider as it goes up the mountain. Bruno’s truck finally blows up and catches fire. The police show up and struggle to deal with an out-of-control situation – a truck fire, a runaway ski lift, and the cacophony of dancing chickens. 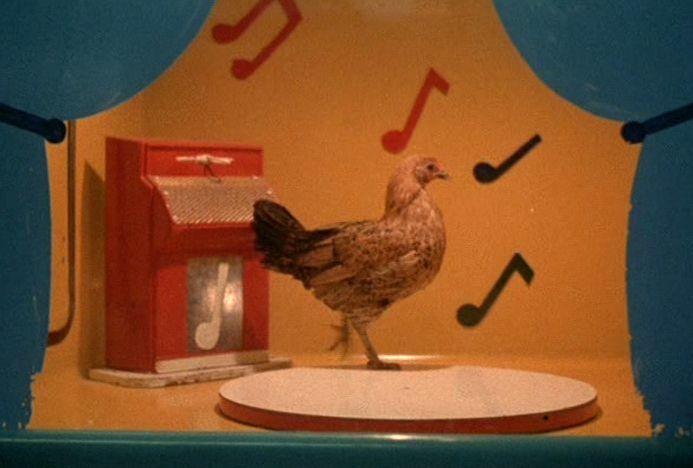 The final shots of the film dwell on the mindlessness of the dancing animals trapped in their arcade cages. “metaphorically explores our own existential and unaccountable thrownness into a world beyond our understanding” . The way Herzog conducts this exploration here is intriguing, because he does not present the American context in a distorted fashion. 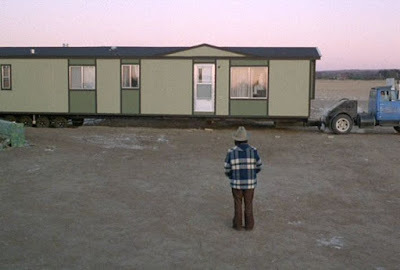 In this connection, it is interesting to compare Herzog’s portrayal of America with those of other foreign film directors who came to the United States to make a movie, such as Michelangelo Antonioni (Zabriskie Point, 1970), Milos Forman (Taking Off, 1971), Wim Wenders (Paris, Texas, 1984), and Sergio Leone (Once Upon a Time in America, 1984). Herzog’s portrayal of America is, to me, the most accurate and authentic of all. And yet, Herzog still injects his expressionistic perspective. The animals in the game arcade were innocent, but their limited horizons meant that they had no understanding of their circumstances and the machines they were parts of. Similarly, the limited horizons of Bruno, Scheitz, and Eva prevented them from successfully operating in the complex world around them. And so, too, the American people around our protagonists were also innocent, but they were parts of a bigger competitive, capitalist machine that noone really fully understands. Thus today, for example, an essentially innocent population of voters, suffering from the same kind of limited horizons as Bruno, can elect a fascist despot who threatens to bring about the destruction of the entire civilized world. 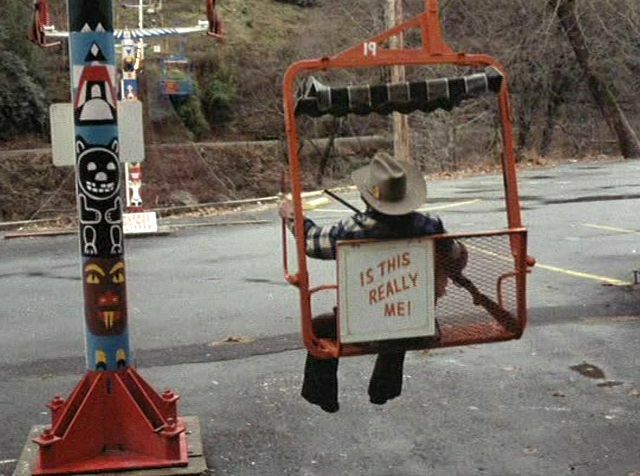 This was Herzog’s melancholy lament in Stroszek. We are all cogs in this huge, incomprehensible machine. Where are we going in this vast, mad, out-of-control vehicle? Edvard Munch, “The Scream”, (1893), Artsy.net. Mark Wickum, “Production Notes”, Stroszek, Anchor Bay Entertainment, Inc. (2001). Roger Ebert, “Stroszek”, RogerEbert.com, (7 July 2002). Marilyn Ferdinand, “Stroszek (1977)”, Ferdy on Films, (2007). The Film Sufi, “The Enigma of Kaspar Hauser - Werner Herzog (1974)”, The Film Sufi, (11 March 2010). The intricacies of deciphering secret messages that have been encrypted by the state-of-the-art German Enigma engine. The complex social landscape of the British intelligence environment, which was overlaid with constant distrust and misrepresentation. Alan Turing’s own complicated persona and his quest to make his way in a mistrustful world. The very question of what it means to be intelligent. All these are interwoven by director Morten Tyldum, using Graham Moore’s Oscar-winning screenplay that is based on Andrew Hodges’s biography, Alan Turing: The Enigma (1992). Nevertheless, there are some problems with this account of Turing’s experiences. For one thing, the film has come under serious criticism for its historical and characterological inaccuracies . I won’t go into them here, but it seems that a number of these inaccuracies are not just poetic license and in fact pertain to key aspects of the story. Another problem concerns the jumpy and unmotivated time shifts in the narrative. Because there are three main timelines in the story, the viewer is continually faced with adjusting to a shifted context as the narrative switches timelines. For some people this may make things interesting, but for me these sudden shifts are often only a distraction. Of course, many people may already know some things about Alan Turing (1912-1954), but the basic facts bear repeating. He was one of the greatest mathematicians in all history. In particular, he is the father of theoretical computer science and stands in relation to that discipline the way Aristotle does to philosophy and Newton does to physics. He had already made his remarkable foundational contributions to computational science when he was in his twenties, before he joined the British war effort in 1939. During the war, he made crucial (but little known) contributions to the allied effort to decode secret messages of the German military. After the war, he returned to his theoretical work, but he was arrested in 1952 for being a homosexual (at that time, a crime in England) and forced to undergo “chemical castration” to cure his deviant desires. He committed suicide in 1954 at the age of 41. Schoolboy (1928-1930). This is when Turing was a teenager attending the Sherborne school. His best friend was classmate Christopher Morcom, and it is understood that they formed a deep, emotional attachment. Morcom died from bovine tuberculosis in 1930, but Turing retained affectionate memories of Morcom for the rest of his life. WWII (1939-1945). This is the main timeline and covers Turing’s work for MI6, the British Secret Intelligence Service, during the war. Arrest (1951-1952). This is a period when the British police were investigating Turing’s possible criminal activities. He was suspected of being a Soviet spy, but was ultimately convicted of being a homosexual. 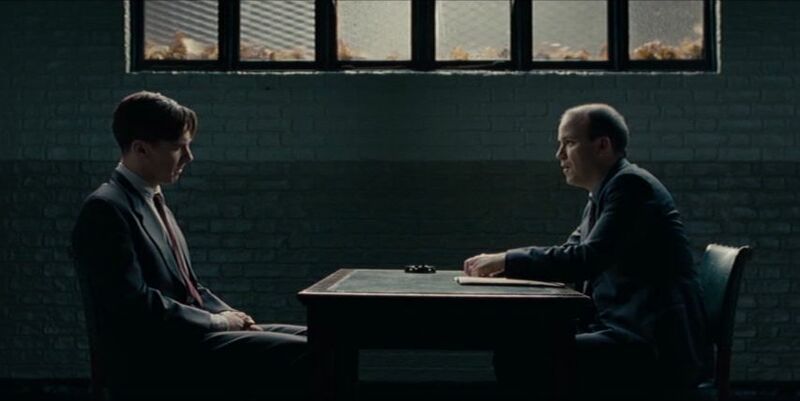 The film begins in 1951  with Turing (played by Benedict Cumberbatch) being interrogated police detective Nock (Rory Kinnear). Turing begins to give an account of his life, and there is a suggestion that much of what is later shown is a re-enactment of what Turing tells Nock. Then the scene shifts to 1939 when Turing began to work at Bletchley Park for the British Royal Navy’s code-breaking efforts under the command of Commander Denniston (Charles Dance). This was particularly important in connection with efforts to intercept German U-boat attacks on Allied shipping in the Atlantic Ocean, which was a key part of the Battle of the Atlantic . The task of Denniston’s command was to break the secret codes of the German Enigma machines, which were famous electromechanical computational machines of that time . Most of the early scenes in the film in this connection are apparently intended to show Turing’s supposedly Asperger-Syndrome nature, and they appear very exaggerated and artificial to me. 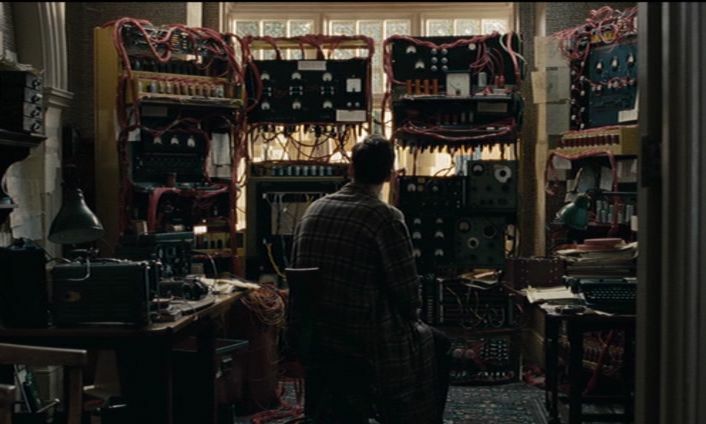 I have doubts about the accuracy of this characterization, because at times in the film Turing appears to be hopelessly isolated and anti-social, while at other times he is more sensitive to his social surroundings. People with Asperger Syndrome or autism spectrum disorder (ASD) are said to have difficulty empathizing and imagining what others around them think and feel. However, there are times in this story when Turing clearly does imagine what others are thinking. A person with Turing’s genius would likely have been eccentric, but I wonder if this wooden typecasting of Turing shown here is authentic. Cdr. Denniston comes across as impossibly arrogant and pompous, but Turing gets a more sympathetic hearing from the wily Major General Menzies (Mark Strong) of MI6, and eventually Turing is put in charge of a small team of talented cryptologists. The already existing Enigma decryption efforts were being carried out by human cryptologists, but Turing’s new idea is to build a machine that will perform the deciphering automatically and more quickly. Everyone around him, including his own team, doubts his plan will succeed, so Turing works off by himself on crafting his new electromechanical machine. Turing does need some more staff and so he places a newspaper ad and recruits a new team member – Joan Clarke (Keira Knightley), a woman. This adds some feminine spice to what has so far been an all-male story, but some critics have felt this part is overplayed. It is true, though, that even though Turing was gay, he did propose marriage to Joan in order to keep the talented woman on his team. 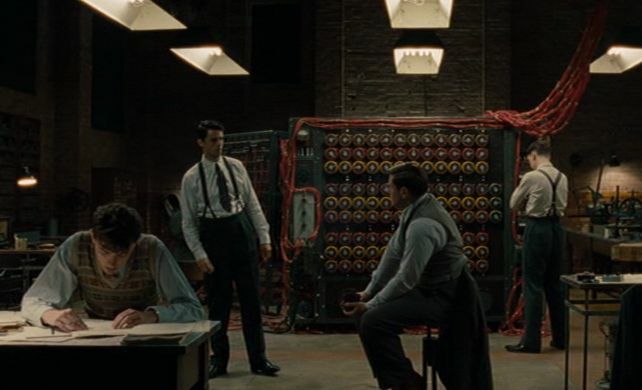 Turing and his squabbling team do make some progress, but his machine is still too slow to keep up with the daily changes to the Enigma ciphers. Denniston threatens to shut down Turing’s whole operation. But then Turing comes up with an interesting and mission-saving insight. While at a cocktail lounge with Joan, he meets her friend, Helen, who is a British signal receiver of encoded German messages. Helen tells him that she is attracted to her German counterpart, but that he must already have a girlfriend. This is because each of her German counterpart’s messages starts with the same five letters, which must therefore signify someone’s name. Turing is struck with an idea when he hears Helen say this. He realizes that his machine, instead of attempting to decode an entire German message, need only begin by decoding some words that it “knows” will already be in the message. He knows that every day at 6:00 AM they get a coded message that contains a German weather report and also has the words “Heil Hitler”. So, for sure, that message is already known to have the words “weather” and “Heil Hitler” in it. With these clues, Turing’s decoding machine is able to quickly decipher those phrases and then, with that information, all the day’s messages. At this point Turing and his team know they have cracked Enigma, but now they encounter a moral dilemma. They quickly decipher information about an imminent German attack on a British naval transport operation, and their immediate impulse is to warn their naval brethren. But Turing realizes that if they do so, the Germans will figure out that Enigma has been “cracked” and will immediately change their cipher codes. So Turing decides that the only way to preserve their hidden advantage is to counteract some German operations, but still stay within the realms of statistical plausibility. This means that they must sometimes abstain from warning some of their own forces in order to keep their game in play. “you can’t do what feels good, you must do what is logical”. So this last comment is another telling expression of Turing’s isolated personality. 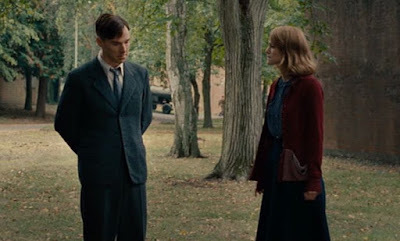 Turing and Joan then go to Menzies to convince him to use the machine decryption in a measured way that will stay within the bounds of statistical likelihood so that the Germans won’t become suspicious and reconfigure their Enigma machine. As a consequence, Turing’s Enigma work continues successfully, and some estimates are that it shortened the war by two years and so saved about 14 million lives. The details of their contributions, however, were not well known to the public, since at the end of the war, Menzies ordered them to destroy all traces of their secret work. There are other subplots in the process of covering this period. Turing, and later, Joan are accused of being Soviet spies. And the relationship between Turing and Joan cools, and they break off. In addition, this WWII narrative thread is occasionally sprinkled with short scenes from the Schoolboy and Arrest interrogation narrative threads. In the end the film returns to 1952, and the police decide to drop charges that Turing was a Soviet spy but still press charges of “indecency” against him for being a homosexual. He confesses to the crime and is convicted. In the end he just wants to be alone with his computing machine, which he has named “Christopher” (although this is not thought to be historically accurate ). Of the four major themes of the film mentioned earlier, those concerning the decryption efforts and the atmosphere of the British espionage community are well covered and dramatically satisfying – even if they may have been oversimplified . However, the fascinating nature of Turing’s personal journey is more opaque. The Schoolboy narrative thread suggests that Turing was very sensitive as a teenager and permanently affected by his relationship with Christopher Morcom. But the adult Turing seems much more closed off and only an outline of a person with Asperger Syndrome. Although director Tyldum’s extensive us of closeup reaction shots is emotionally very effective and useful for conveying an expressive social atmosphere, I never got a good feeling about what Turing may have been thinking (just as, ironically, Turing may have sometimes not known what others around him were thinking). This brings us to the interesting question concerning the nature of intelligence, itself. 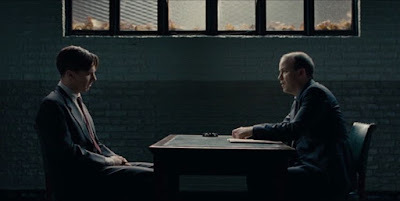 At one point in the film, when Turing was being interrogated by Detective Nook, Turing mentions the idea of the Turing Test  for artificial intelligence. This is an idea he came up with in 1950 concerning how to identify intelligence, and it also known as “the imitation game”, whence the title of this film. In this “game”, an inquisitor is invited to communicate via text messages with two invisible “people”, one of whom is a machine (computer) and the other is a real person. If the inquisitor cannot tell which of those two is the real human person, then the computer can be considered to be intelligent. Although the Turing test was only intended to serve as a convenient operational definition, it has always been controversial. First of all, it suggests that intelligence can be manifested purely via text messages, thereby omitting major aspects of thinking and experience. It also suggests that empathy is not intrinsic to intelligence – a person, or a machine, could calculate what is the appropriate social response without having any intuitive human feelings. This was an idea alluded to Alberto Moravia’s novel, The Conformist (1951 – adapted as a film in 1970 by Bernardo Bertolucci). Is that the way Turing, himself, operated? Turing tells Nook that machines are just different “thinkers” and should be acknowledged as such. Are the filmmakers suggesting that Turing was more like a machine? What does it mean to be human? Where are the boundaries? These are questions that are hinted at but not fully explored in The Imitation Game. “Accuracy”, “The Imitation Game", Wikipedia, (17 January 2017). This should actually be 1952, according to the records. “Battle of the Atlantic”, “Wikipedia”, (15 January 2017). This was before the employment of vacuum-tube-based computers, the first wartime instance of which was the Colossus computer that began to be used in 1943. “Turing test”, Wikipedia, (16 January 2017). 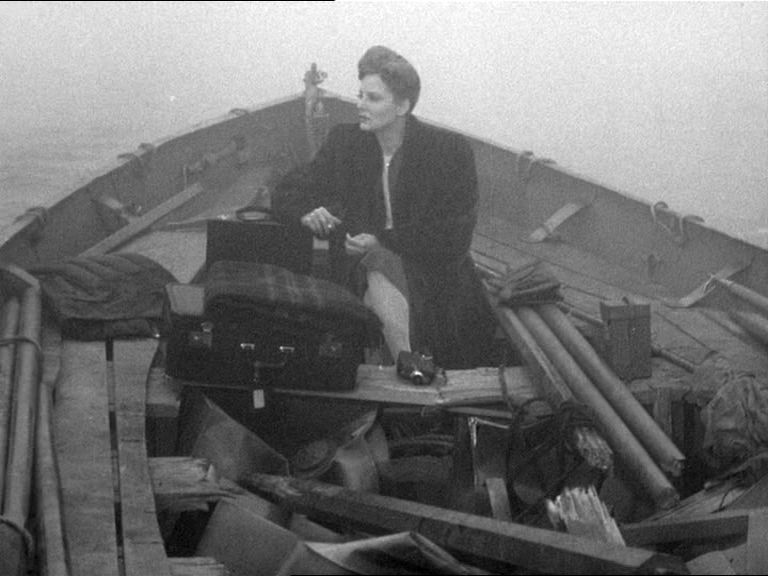 Alfred Hitchcock’s Lifeboat (1944) was a wartime film that had a single setting: the confines of a lifeboat adrift in the Atlantic Ocean during World War II. This was the first of four such “one room” dramas by Hitchcock – the others being Rope (1948), Dial M for Murder (1954), and Rear Window (1954). This might suggest to you stories that have been adapted from stage plays and are mostly talk, rather than action oriented. 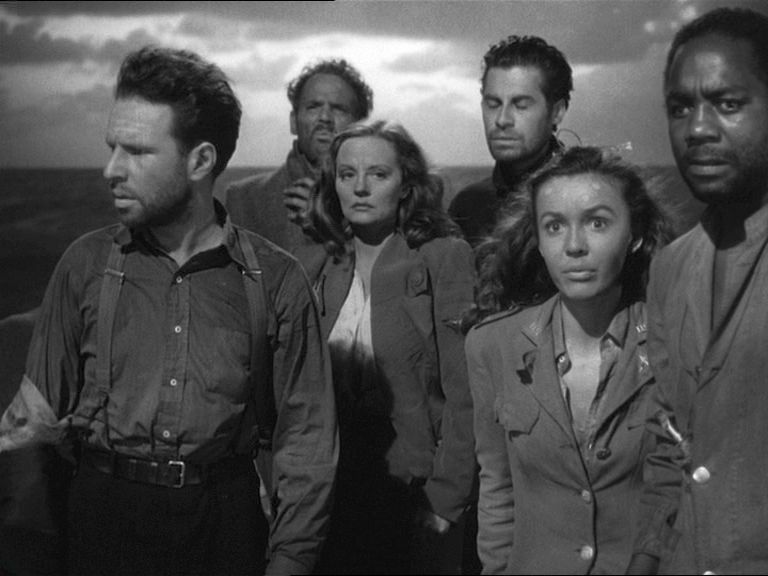 However, Hitchcock managed to pack plenty of action and suspense into these space-confining films, and this was particularly true of Lifeboat. Lifeboat’s tale concerns the fate of survivors of a US merchant ship that has just been sunk while headed for London during the World War II’s Battle of the Atlantic . It was based on a story by John Steinbeck, although subsequent alterations by Hitchcock and scriptwriter Jo Swerling led to Steinbeck’s later request to have his name removed from the credits. Like many war films of this period, the story encompasses, and celebrates, a cross-section of American society, with the presumed intention of conveying a “we’re all in this thing together” motif. The idea is presumably that America’s thought-to-be unwieldy heterogeneity is a virtue, not a weakness, and something that shows the strengths of democracy. Whether this idea comes across effectively in Lifeboat is a matter for you to judge. There are other themes, too, of course: treachery, survival, romance, even human principles. These are all things that can come up when a disparate group of people are forced together under trying circumstances. And that is why the film manages to hold our attention throughout. Lifeboat’s action-packed narrative proceeds through five unevenly spaced sections, or theatrical acts. 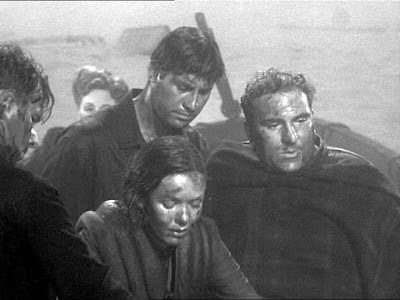 The film opens with the sinking of the merchant vessel by a German U-boat, which has also been sunk due to counterfire from the stricken ship. 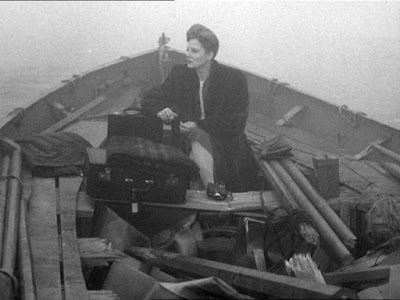 The camera pans across debris-filled waters before fixing on a lifeboat with only a woman wearing a mink coat on board, Connie Porter (played by Tallulah Bankhead). Soon several other survivors in the water approach the boat and manage to clamber aboard. 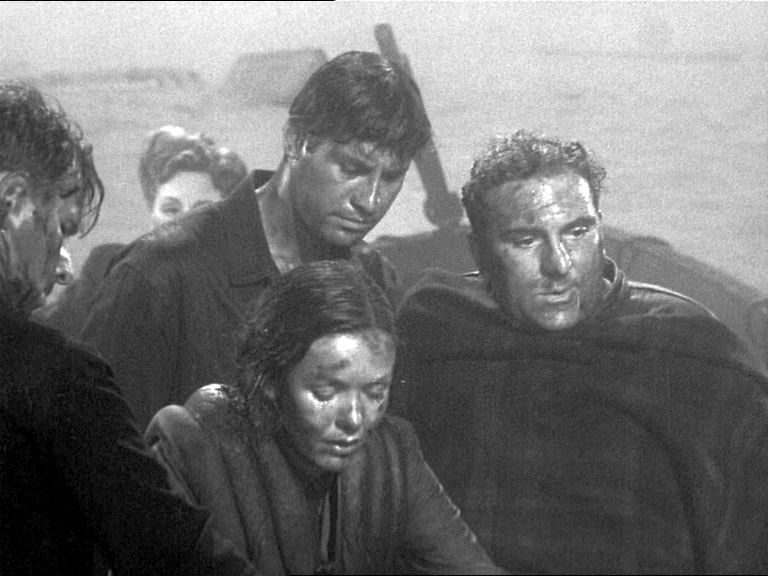 One of them, Gus Smith (William Bendix), has a severely injured leg and is immobilized. Finally, a German survivor, Willi (Walter Slezak) from the sunk U-boat is also taken onboard. So at this point we have the following people on the lifeboat who all must struggle to survive. Since their varied characters and attitudes are important for the story, I briefly list these parenthetically at the end of each entry. Connie Porter (Tallulah Bankhead) is a famous photojournalist who is vain and self-centered, but also outgoing. She is constantly seen putting on lipstick and rouge to glamorize herself, even in these dire circumstances (Opportunist). John Kovac (John Hodiak) is an engine-room crewman (Self-confidant Action-taker). Gus Smith (William Bendix) is an injured merchant seaman and an ordinary working-class stiff (Innocent). Charles J. "Ritt" Rittenhouse, Jr. (Henry Hull) is a millionaire industrialist (Principled Manager, Utilitarian). 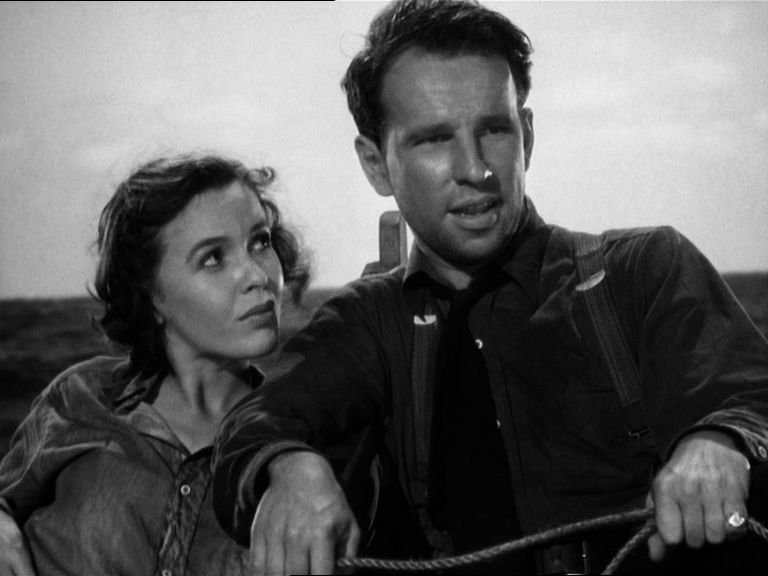 Stanley Garrett (Hume Cronyn) is a radio operator (Team Player). Alice MacKenzie (Mary Anderson) is an American army nurse (Team Player). Mrs. Higley (Heather Angel) is an English mother who is hysterical over the death of her baby (Distraught). Joe Spencer (Canada Lee) is a deferential black ship steward (Modest and Supportive). 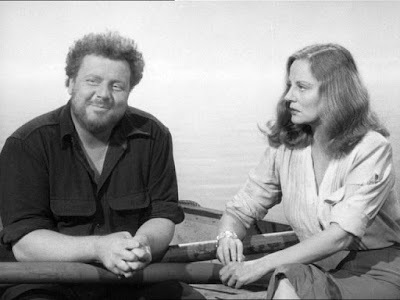 Willi (Walter Slezak) is the German sailor from the U-boat (Deceitful and Selfish). With this personality distribution, the romantic opportunities begin to emerge. The flamboyant and strong-willed John and Connie are naturals for each other. So, too, are the more sensitive and introverted Stanley and Alice appropriately matched. And these tentative romances develop over the course of the story. But immediately there is a clash of personalities over what to do about the German, Willi. John (supported by Gus) wants to throw the adversary overboard. The more principled Ritt (supported by Connie, Stanley, and Alice) argues that would be inhuman and a crime. The self-deprecating Joe abstains on the issue and Mrs. Higley sleeps; but democracy wins in this case, and Willi is allowed to stay. That night while the others are sleeping, the still upset Mrs. Higley throws herself overboard and drowns. Now there are eight people left. The next morning they have to organize themselves to do various tasks on the boat, such as steering the rudder, preparing a sail, etc. Ritt presumptuously appoints himself as the boss, and the others fall in line. They want to head for Bermuda, but without a working compass they don’t know which direction to take, and Ritt orders that they should follow Willi’s suggested heading direction, since he seems knowledgeable. At this deference to an enemy, John rebels and forcibly announces that he is now the “captain” of the boat. Again there is something of a vote, and democracy decrees that John is the new skipper. So they instead head in a direction guessed at by Stanley. Now Alice notices that Gus’s leg is gangrenous, and they know they must amputate it. This is one of the more stirring sections of the film, as they all cooperate and try to comfort Gus. Willi informs the others that he is a former doctor and proceeds to perform the operation successfully. Despite the pain and suffering involved, this is the high point of human cooperation in the film. Afterwards John reluctantly accepts to follow Willi’s proposed heading that the boat should take. But later that evening Stanley and Alice together are looking at the sky, and Stanley figures out from the position of Venus that they could not be heading for Bermuda. Willi is ultimately confronted about this and found (by Joe) to have his own compass and has been directing the lifeboat towards a German supply ship all along. John wants to kill Willi for this, but the others dissuade him from his violent inclinations. Now a violent storm arises, and the boat’s hand-rigged sail spar is destroyed. Afterwards, they are forced to row the lifeboat, but because of the lack of food (not having any bait, they cannot catch fish) and fresh water, there is only one person strong enough to do the rowing – Willi. They all begin to reluctantly accept that Willi’s intention to take them to a German supply ship and ultimately a German concentration camp is preferable to immediate death. That night while the others are sleeping, Willi, who is still rowing, talks to a deliriously thirsty Gus and, while Gus’s back is turned, he pushes him overboard to his death. The others hear Gus’s calls, but it is too late. When confronted, Willi confesses that he is strong because he has secretly kept some food and water for himself. Upon hearing this, Alice, who has been the most compassionate person in the story up to this point, starts to attack Willi in a rage. All the rest of them (except Joe) join in on the beating, and then they throw Willi overboard to his death. So Willi is revealed to have been a ruthless and selfish nihilist. But the others were reduced to animalistic rage, too. Later Ritt reflectively laments aloud about how Willi could be so evil and says, “what do you do with people like that?” Apparently he thinks you have to kill them. Now the weakened survivors are near starvation and full of despair. Connie, who despite her selfishness if still full of life force, refuses to give up. She gets them to fashion her jeweled bracelet as a lure to catch fish. They drop the line and do hook a big fish, but they are then interrupted by the appearance of the German supply ship. They think they are about to taken to the German ship as captives, but then an allied warship appears and sinks the German supply ship. When Lifeboat was first released, it immediately came under critical attack for showing Germans in too sympathetic a light. Despite its jingoistic posture and suggestion that no Germans could be trusted and should all be exterminated, the mere presentation of mild-mannered Germans in the film seems to have enraged a number of critics. For this reason, the film only had a limited release and was a box-office failure. Even so, it did secure a number of Oscar nominations (Best Director, Best Story, and Best Cinematography). Since those early days, the film’s stature has risen considerably and is now considered to be an overlooked classic. However, later criticism has been directed at the presentation of the black character, Joe Spencer, who is seen as too subservient and obsequious. Actually, I would say Joe’s character is quite admirable. He is the one who initially saves Mrs. Higley, grabs Willi’s illicit compass, and disarms the second German seaman. When they are faced with doom, he expresses his faith in God. At all times, he is gentlemanly and cooperative. If his skin color had been different, he would be seen as heroic, but critics were too quick to jump on his deferential demeanor. In fact he is the most civilized character in the film. There are undeniable strengths of Lifeboat. The way Hitchcock has used his camera angles and editing cuts can almost serve as a textbook example of how to present a dynamic cinematic narrative in a confined space. There is nothing flashy about this in terms of camera movements, but it all works perfectly to maintain the viewer’s attention and interest. 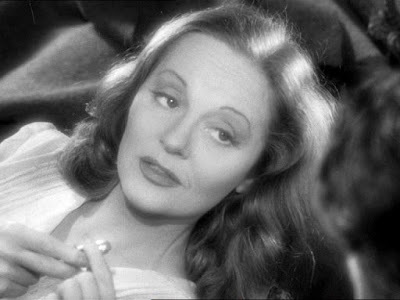 Credit should also be given to Tallulah Bankhead’s energetic performance as Connie Porter. She, herself, had a uninhibitedly flamboyant and promiscuous personal life that always demonstrated her free spirit. To some extent one gets the feeling that Hitchcock simply encouraged Ms. Bankhead to simply play herself. William Bendix’s portrayal of the simple but genuine Gus is also a strong element in the film’s presentation. Still, to me, the principal weakness of Lifeboat is its endorsement of war against an irredeemable enemy. The slaughter of Willi is presented as justified, because he is shown to be cold-bloodedly diabolical. The rhetorical question about what one should do with “people like that” is a copout. 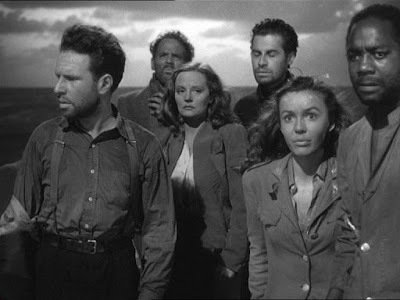 Early on, the film suggested that modern civilization has a “civilized” and humane way of dealing with barbarous behavior. But then as the film proceeds, it withdraws from that posture to end in self-doubt. The bottom line, however, should be this: revenge and murder are never justified. “Battle of the Atlantic”, Wikipedia, (15 January 2017). Ingmar Bergman’s Hour of the Wolf (Swedish: Vargtimmen, 1968) is a horror film that journeys into the realm of personal dread – a frightful dimension from which there is seemingly no escape, since the disturbing threats come from within. The film was made during a particularly introspective period of Bergman’s life, and it probably explores his own personal traumas and demons. 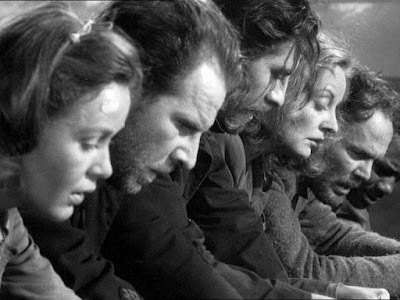 Thus as a drama, the film is particularly somber, even for Bergman. Primarily for that reason, Hour of the Wolf initially drew mixed reviews. However, those who were sensitive to Bergman’s existential themes were more appreciative of the work [1,2]. And the film has gained in stature as time has gone by, so that by the time of the British Film Institute’s 2012 Director’s Poll concerning the greatest films ever, Hour of the Wolf, was ranked 44th . One of the fascinating, and challenging aspects of Hour of the Wolf is the stance that it adopts concerning reality. At the outset the film presents itself as an account of objective reality concerning what happened to a troubled artist who had apparently vanished without a trace. But as the film progresses, the presentation becomes more subjective and problematic in terms of its objectivity. Are we watching what really happened, or are we seeing the imagined fantasies of disturbed individuals? Bergman shifts the perspective at various points and leaves the viewer, like the artist, on precarious middle ground. This is what annoys some viewers and fascinates others. The story of Hour of the Wolf is about an artist and his pregnant wife when they made a holiday stay at a small island. In the end the artist disappears, and the film is said to be based on the diary that the artist had left behind and his wife’s recollections of those last days. So the beginning of the film is presented almost as if it is a documentary reconstruction of past events. 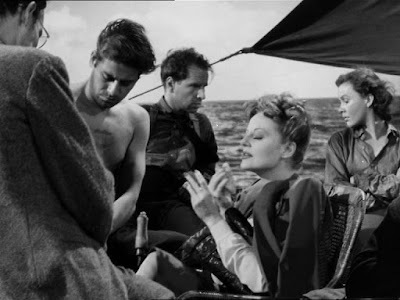 This sense of objectivity and narrative “distancing” from the subjects is heightened at the beginning of the film during the opening credits, when Bergman and his film production team can be heard on the soundtrack preparing for a cinematic take. (Apparently Bergman intended to have even more of these production intrusions that break the viewer’s suspension of disbelief in the film, and this was because Bergman felt that the artist’s problems in this story were too closely linked with his own personal issues ). The narrative objective distancing effect is gradually abandoned as the story proceeds, and soon the viewer is seeing the world from the subjective viewpoints of the artist and his wife. In fact since the artist is an opaque and narcissistic character, the wife’s sympathetic perspective and her consequent efforts to empathize with her husband’s experiences are crucial to the overall message of this story. In addition to the brief opening and closing scenes showing the artist’s wife recounting and reflecting upon what happened to them, there are five narrative segments making up the story that the wife tells. Collectively those narrative segments show the artist’s descent into the maelstrom. 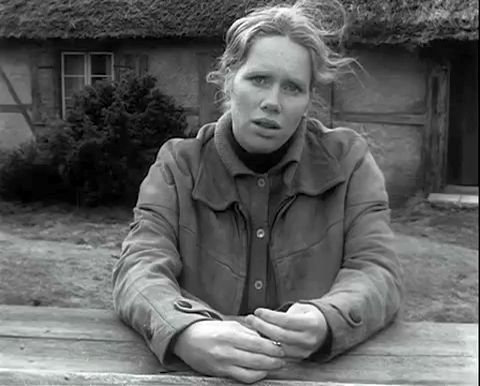 In the beginning of the film, the artist’s wife, Alma Borg (played by Liv Ullmann) faces the camera, in a long 3:37 shot, and offers some background about her husband Johan (Max von Sydow) and their marriage of seven years. She then begins recounting their arrival at the small island of Baltrum, which is one of the Frisian Islands off Germany. The loving couple of Johan and Alma Borg arrive at the island to stay in a small cottage, but it is soon clear that the painter is troubled about himself and his inability to work effectively. He suffers from insomnia, and she stays up with him during his sleepless nights. He soon shows her some of his sketches of bizarre people he has met on the island, and based on his brief descriptions (the viewer doesn’t see the sketches), we and Alma know that he is seeing phantasmagorical images. Alma lovingly (and hopefully) tells him, though, that she believes that when people live together for a long time, they start to resemble each other. She wants to share everything with him. The next morning outside the cottage, Alma suddenly sees an old woman oddly dressed all in white. This is the beginning of the surreal images that will eventually pervade the film. The old woman seems to know something, though, and tells Alma to read Johan’s diary, which has been hidden under their bed. Alma finds and begins reading the diary, the accounts of which are now presented dramatically. 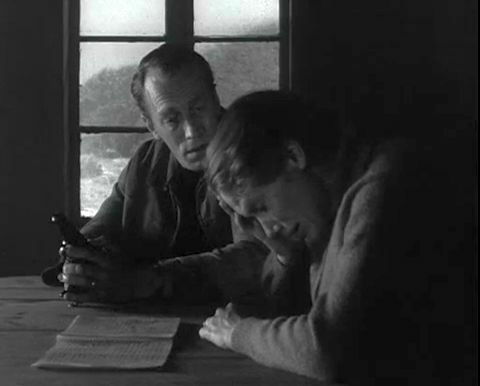 One account concerns Johan meeting Baron won Merkens (Erland Josephson), who owns the small island. The Baron invites Johan and Alma to a party at his castle on the other side of the island. Another account shows Johan painting outside and approached by an attractive woman, Veronica Vogler (Ingrid Thulin), with whom, we will later learn, Johan had previously had a five-year affair. Johan passionately kisses and then undresses the woman out in the open. 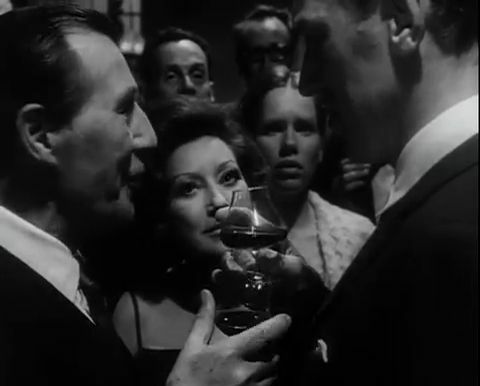 At the party, the modest Johan and Alma are introduced to a number of wealthy attendees, but the atmosphere is oppressive and suffocating. The other partygoers are pushy and raucous, and Bergman cinematically presents the garish goings-on with obtrusive closeups and swish pans. (Some of these people were presumably the triggers for Johan’s earlier disturbed illusionary sketches.) Eventually, Johan is hailed by the others as a great artist and asked to comment about art to them. To this invitation Johan nervously responds with an awkward and self-indulgent speech that only adds to his discomfiture. He is further embarrassed when the Baron’s wife, Corinne von Merkens (Gertrud Fridh) shows the couple a portrait by Johan of Veronica Vogler and then makes rude comments about Johan’s earlier affair with the woman, to the discomfort of Alma. The entire oppressive atmosphere is pushing Johan closer to a nervous breakdown. Alma can only watch in sympathetic alarm. He then tells her about a traumatic moment when he was a young boy and his parents had punished him by locking him in a dark closet. This was a horrifying experience of threatening annihilation that he had never gotten over. Then he recites another recent event that is shown in dramatized form – an early teenage boy had approached him while he was fishing off the edge of a cliff. The proud boy was silent, but impudent and intrusive, and this somehow greatly disturbed Johan’s sense of his own dignity. He finally attacks the boy and beats him to death. In the morning Johan and Alma are visited by another member of the castle entourage, who invites them to another party, at which Veronica Vogler is expected to be present. The visitor also leaves with them a handgun to defend themselves from small game on the island. After Alma expresses her concerns about her husband’s obsession with Veronica and reads aloud to him a telling passage about the woman from his diary, Johan picks up the gun and shoots her. He then runs away to the castle. At the castle, the distraught Johan encounters still more disturbing freakishness. An old countess commands him to kiss her feet, and he submits, almost helplessly. Another castle resident says he will lead Johan to Veronica, but first he must prepare Johan with powdery, effeminate makeup. to find he has run away again, further into the forest. She sees him in the distance being beaten by the illusionary castle people, after which they all finally disappear from view. Back in the “present” and with her tale now finished, a demoralized Alma asks her interviewer whether if she had loved Johan less she could have protected him more. This is Bergman’s question, too. Existential horror, as evinced by Johan. His fear is that of annihilation, and it presumably goes back to his childhood experience in that dark closet. His self-understanding, which is something he tried to promote and achieve through his art and his passion for Veronica, has dissolved into nothingness by the end of the story. Some viewers criticize Johan for being narcissistic, but when one is faced with utter extinction, one can’t help but be obsessed with his or her own fate. Love and commitment, as shown by Alma. She has surrendered to her love for her husband and never questions this even when he tries to kill her. Her solution to despair is total submission to love. 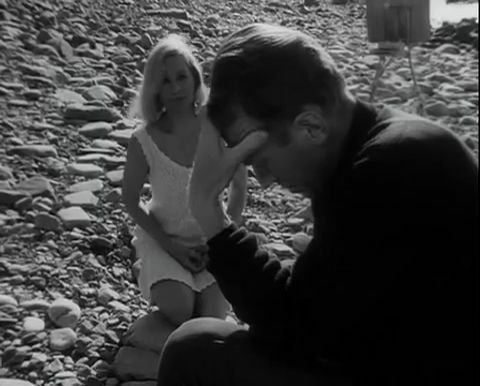 Some critics have suggested that these two perspectives reflect the differing real-life positions of Ingmar Bergman and Liv Ullmann, who were lovers during this period . But I suspect instead that the two perspectives in the film reflected a division within Bergman’s own mind. He felt the horror, but knew what the love was, too. A weakness of the film is that the narrative offers no temporary gains or upward turns, no grounds for hope. And despite the existential horror that Johan faced, it is difficult for the viewer to empathize with him. He seems opaque and closed off. But one can empathize with Alma. Liv Ullmann’s sensuously expressive face throughout the film shows a person continually suffering for her beloved. It is her journey, not Johan’s, that ultimately makes the film worthwhile. She was different from Veronica in that she offered not romantic flights of fancy but total loving engagement. Johan’s only path to life was probably through her, but he was too far gone to be able to do anything about it. Renata Adler, “Screen: Where Nightmares Converge:Bergman Puts Spirits in 'Hour of the Wolf'”, New York Times, (10 April 1968). Roger Ebert, “Hour of the Wolf”, RogerEbert.com, (11 December 1968). “Directors’ Top 100", Analysis: The Greatest Films of All Time 2012, Sight & Sound, British Film Institute, (2012). “Hour of the Wolf”, Wikipedia, (3 December 2016). Gordon Thomas, “In Love with Liv Who Loves Life: Surviving Ingmar Bergman’s Hour of the Wolf”, Bright Lights Film Journal, (1 August 2006).